When looking back at TV’s progression over the years, it might not seem like it’s that hard to create a great TV show. (A naïve thought, to be sure, but run with me here.) Far more complications arise when one attempts to retain a great show’s top-notch quality, as evidenced by damned near every show in existence. As sad as it is, we should probably be thanking our lucky stars when brilliant shows are canceled too soon, thus not allowing them to later wallow in their own dwindling value. Here, we’re shining a spotlight on ten of the worst offenders, shows that started off fantastic and eventually got lost in the smokescreen of their own wheel-spinning. All of these definitely have their diehard defenders who never lost faith, myself included, but the majority of audiences can usually agree on where things went wrong with them. And let’s kick it off with the biggest smoke monster of them all. There will be spoilers, so be warned. While some people never bought into the resolution-less myths and legends that Lost rained down on viewers, this show was about as close as many people got to a small screen religion, and was one of the first TV series that spawned rampant Internet speculation. But despite some nice temporary reprieves, Lost could never fully recapture how blissfully ominous its first two seasons were, collapsing beneath its own mysteries, flash-forwards and myriad other plot contrivances. By the time the gang reached the Temple, the head-scratching had turned to head-bashing, and I think we can all agree that the finale was about as delicate and graceful as a drunken elephant ballet. 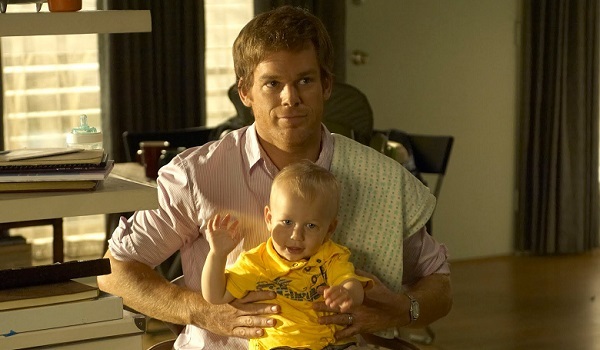 For me, Dexter was never as good as it was in Season 1, but still I hung on. A victim of far too many Miami-based serial killers, Dexter hit a secondary high point when John Lithgow joined the show as the layered psychopath Trinity Killer, who killed Rita and changed Dexter forever. (Mostly by turning him into an awful single parent.) The show took too long in introducing Deb to Dexter’s Dark Passenger – a description that made me cringe harder with every utterance – and still ruined their relationship, which was basically the only relationship that mattered by that point. And it’s best just to forget that the abysmal Colin Hanks character and series finale even happened, lest we all turn homicidal. Point of No Return: The middle of nearly every season. After Season 1 24 basically became the action thriller equivalent of a house made out of the same set of LEGO bricks, just in a slightly different formation. 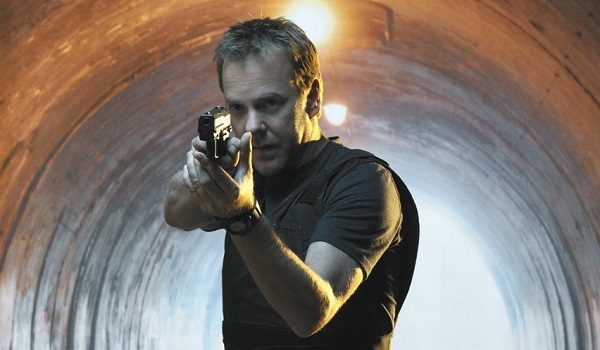 As far as mindless popcorn drama goes, it’s hard to knock later seasons of 24 harder than earlier ones, as they all followed similar story structures, but each season took that much more disbelief suspension to consider that anything in this show could have actually happened to this same set of characters. 24: Live Another Day even switched up the format to make itself seem distinct, but few were fooled. The one part of 24 that never got old? Chloe, obviously. Point of No Return: Once the show’s limitations became blatantly obvious. More closely resembling the late-1980s Superboy than anything in the modern superhero TV landscape, The CW’s Smallville featured nearly 100% less direct ties to the Superman universe, and kept baiting viewers for ten seasons with a lukewarm plotline that still felt like a high school drama even in the years after the characters had moved onto Metropolis. 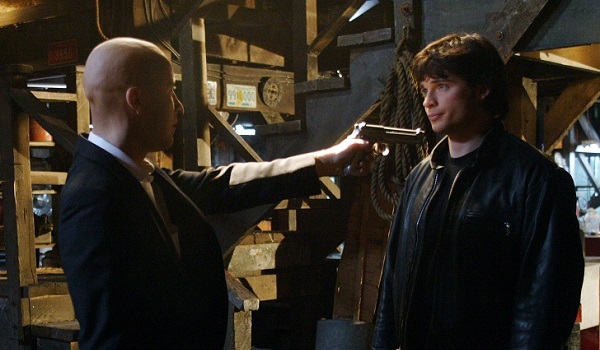 A lot of your favorite DC characters appeared on Smallville in their most watered-down form, and the show’s budgetary restraints kept even the most potentially badass sequences on the level of half-hearted fan film. Its 10-season lifespan obviously kept a sizeable audience, but presumably few of them walked away with compliments to spare. 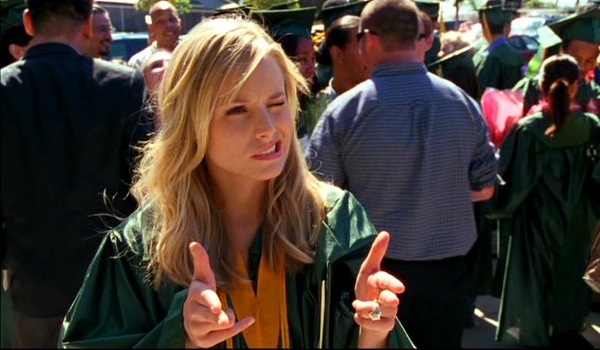 I genuinely praise Veronica Mars for being one of my favorite TV shows of the past 20 years or so, and I couldn’t tell you what Season 3 of the show was about, mere minutes after using the Internet to remind myself. A series where the characters seemed to remain true to their enjoyable personalities throughout the run – with the possible exception of Duncan “Generic Nickname” Kane – Veronica Mars’ continuously clique-heavy Neptune lost itself in a series of increasingly baffling crimes and plotlines. The movie kind of made up for it, but I can’t imagine that Season 4 would have righted this witty ship. 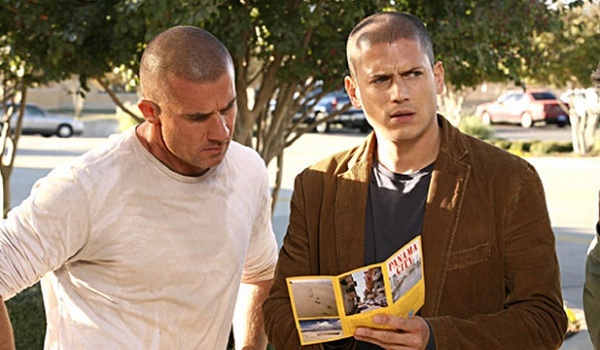 Created by Paul Scheuring, Fox’s Prison Break filled its first season with a plethora of enjoyable twists and turns, calculating characters, and a madcap plotline so ridiculous it could only be god-awful or amazing, and luckily it was the latter. It could have been one of the most exciting one-and-done shows ever, but it still managed to be captivating throughout Season 2. But by Season 3, the writers were writing for the show Prison Break Again and Again, with Michael getting sent to the mostly prisoner-run Sona. And then there’s the cartoonishly over-the-top Season 4, which I assume even the cast and crew have forgotten about. When it debuted in 2006, Heroes seemed destined to become the next best thing to anything Marvel and DC had going for it, introducing a plethora of superpowered people, a complex-but-centered plotline, and a dastardly villain in Zachary Quinto’s Sylar. And then the Writer’s Strike happened, and a shortened Season 2 proved that not even the always enjoyable Hiro Nakamura could save a dreadfully slow-building story that needlessly went into the past. And then those other seasons happened. The upcoming limited series Heroes Reborn will hopefully learn from those earlier mistakes. Is “focused narrative” a superpower that someone can have in this universe? Though Season 4 of Homeland was a turn in the right direction for the acclaimed Showtime drama, it shot itself in the foot by not shooting Damien Lewis’ Nicholas Brody in the head by the end of Season 1. (Or whatever way he was originally supposed to die.) 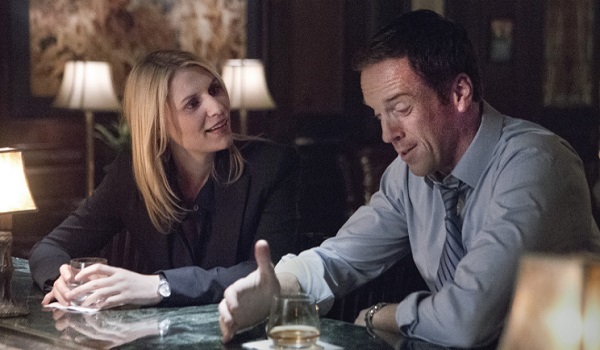 By keeping him and his increasingly grating family around, the show essentially neutered any far-reaching plotlines they might have gone with otherwise, and then gave Carrie Mathison a wedlock child that she hates, which doesn’t equal the most intriguing plot point for a show focused on international government intrigue. Season 5’s German setting and Carrie’s absence from the CIA will hopefully continue to build this show back up. 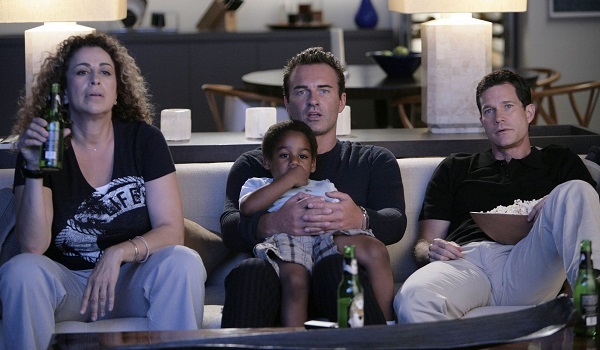 If all one wanted out of a TV show was for the most sensationalistic and lascivious programming imaginable, then Ryan Murphy’s Nip/Tuck actually got better as it went along. But for everyone else looking for enrapturing storytelling and sympathetic characters, this show absolutely lost its way even before the Carver’s disappointing identity was revealed, arguably around the time Ava’s storyline got more shocking. The surgeries got increasingly ridiculous, Sean and Christian’s behavior got ever more disgusting, and all other characters ceased to matter. Except Liz, of course, but she ended up getting screwed by the writers, too. Can’t hate on all those guest stars, though. To be honest, I’m not even sure I could pinpoint when this show lost its already rocky way. True Blood started off with vampires, shapeshifters and Sookie “I’m a faerie-hybrid” Stackhouse, so I guess I should have expected werewolves, witches and more to show up. Really, Tara’s mother was enough to make me want to throw my TV out the window, but True Blood just started oozing awful when Eric lost his memory, when Tara turned, and when the Vampire Authority became a major plot point. As far as the show’s last few seasons go, a nice supercut of all the good scenes would have been preferable.